Welcome to another Freebie Friday! 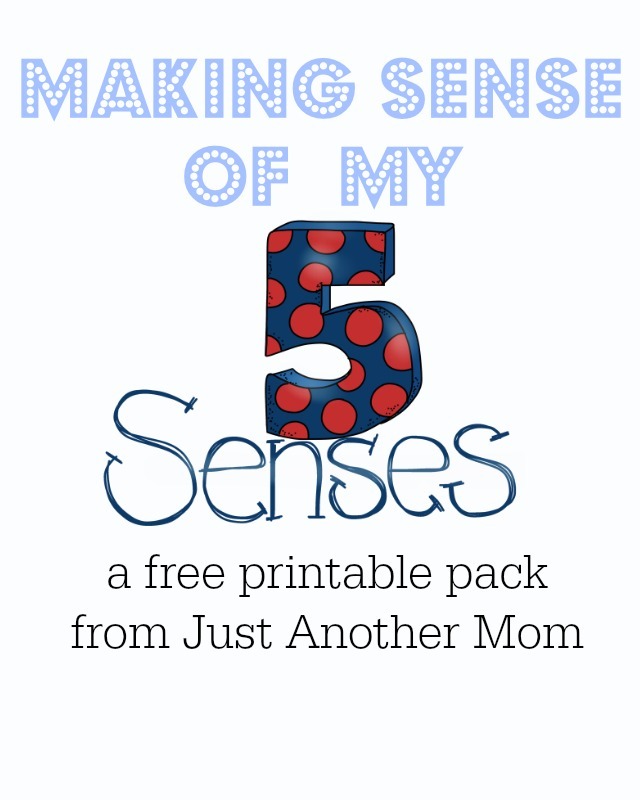 Today’s free printable pack focuses on the 5 Senses and is called: Making Sense of My 5 Senses. Though Sweet B is pretty good with figuring this sort of stuff out, I thought that it couldn’t hurt to try and reinforce those skills. From here on out I will also be offering freebies and for sale packs in my Teachers Pay Teachers store. I won’t be offering anything for sale for quite some time though, and you’ll always be able to access all of my free packs here. In fact, when I do start selling, I will have a special sale and offer a further discount just for readers of this blog. So you can find packs like this on my free printables for autistic children page or on the printables for preschoolers page. The TeachersPayTeachers link will be added soon. I just wanted to give my blog visitors the opportunity to get it here first. I will have more of these packs to go over non-concrete terms as I feel that they are of use for both non-verbal autistic individuals and in a home preschool setting. I have yet to use them with Squeaker in her tot school setting but will be doing that soon. More packs will also revolve around the human body as we start to introduce science. I’m also going to speak with her teachers at school to figure out how to incorporate this into Sweet B’s afterschooling program. She’s come home with a few science based worksheets in the past so I think this is something that she could handle. Maybe. It will really depend on her sensory issues.